Our decorating ideas will help you make an outdoor entertaining space for everyone. Every good social gathering space starts with a bar, to provide a place to sit and talk with friends, enjoy a cocktail or play a game of cards. With some basic carpentry skills and an afternoon, you can build your own bar that will enhance your outdoor entertaining space. You can build a wet bar to suit any size specifications and space, but a good standard size is approximately 42 inches in height with an eight-inch overhang and a top that is between 16 and 20 inches wide. You can finish it off with molding around the sides to eliminate drinks from spilling onto your guests’ laps while they sit and to add an upscale look of an actual restaurant bar. 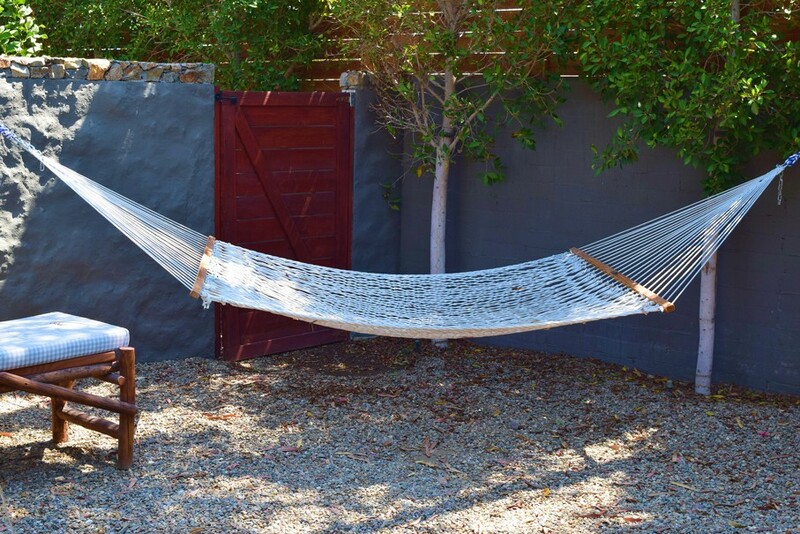 You can add a rustic porch swing hung on ropes rather than chains for a more high-end and natural look. According to This Old House, you will want to make sure you use a sturdy rope that is rated to hold at least 600 pounds of weight and also check it regularly for wear and tear to ensure the safety of you and your guests. Porch swings accented with rope add additional and comfortable seating in an outdoor spirit that also adds a unique, upscale look and feel to the space. You can also add rustic or vintage bar stools around your wet bar, hang a swinging chair or hammock in a corner where there is extra air flow, add outdoor furniture or build in your own custom bench seating options to suit the space and the size of your gatherings. Add brightly colored throw pillows and throw blankets to the furniture for decorative accents and outdoor area rugs can coordinate as well for additional pops of color that also add comfort. If you are adding a fire pit to your outdoor space, you’ll also want to consider seating options for this. You can build custom benches out of wood yourself or add other seating choices to surround the pit. Use creative lighting choices to illuminate your outdoor entertaining space such as rustic handing lanterns, chandeliers or add solar lighting options such as string lights to create a more festive look and feel. You can set them on tables or hang them from ropes, hooks or chains. These lights all provide a soft, warm glow for your evening events and they are easy to move around if you need to rearrange the room or as the evening’s needs and guests shift. Fill the space with additional entertainment components to suit your taste, style and room specifications. 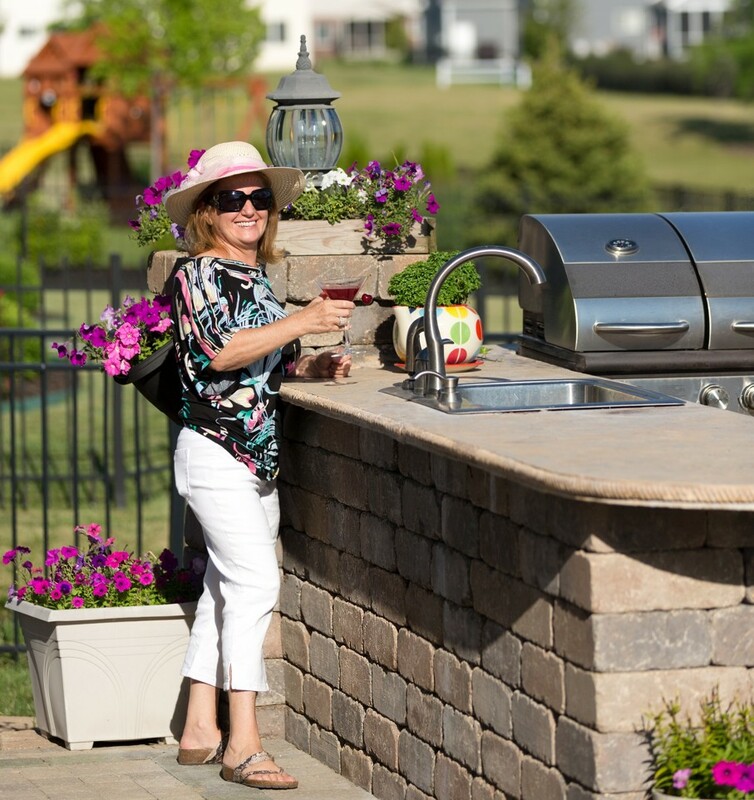 Items such as foosball tables, ping pong tables or pool tables, a fire pit, an outdoor sound system, a grill, outdoor sink, counter and stove, refrigerator, wine cooler can all elevate an outdoor space into a barbecue haven for your family friends. You can cook burgers on the grill for the kids on a weeknight while they play foosball, and enjoy s’mores at the fire pit or prepare salmon and asparagus for your adult guests on a Saturday, evening while sipping wine and challenging them to a game of ping pong. If you have a larger budget and a big enough space you can add a hot tub to your outdoor gathering area. 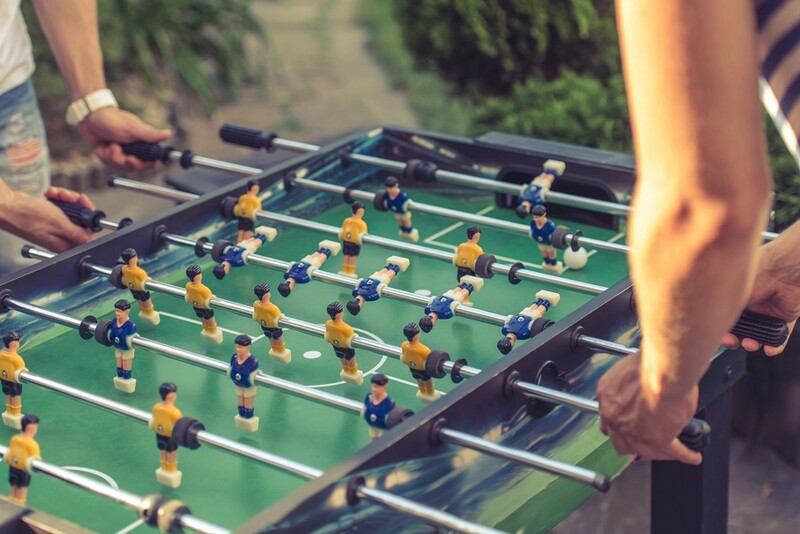 Whether it’s a peaceful wine bar patio environment with family or a late night of foosball and s’mores over the fire pit with friends, you can take your social gatherings outside by creating a unique outdoor entertainment space at your home. 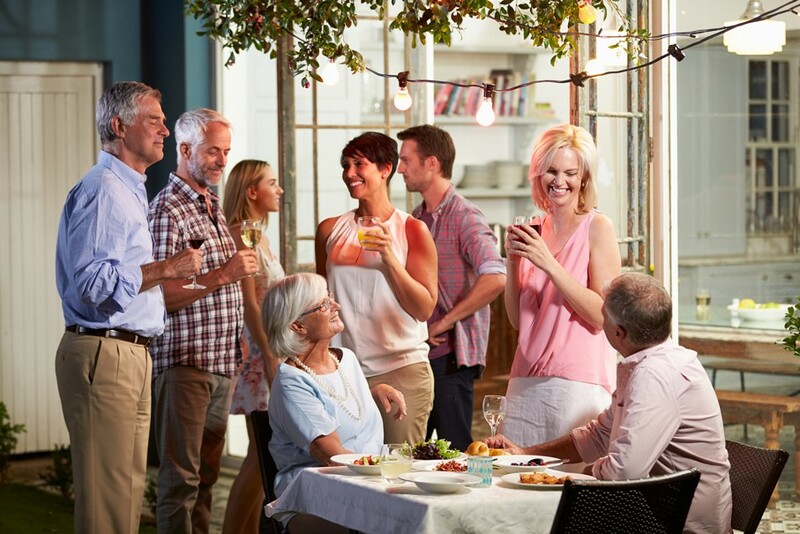 By dressing up your mundane patio, deck or porch with unique seating options, mood lighting, an outdoor bar, a fire pit, and a foosball table, you can take outdoor entertaining to the next level and be the social event the whole neighborhood is talking about.